Corp. Award: Jean Hersholt Humanitarian Award, Academy of Motion Picture Arts and Sciences, 1973. Member: Chairman Emeritus, Association of Motion Picture and TV producers; president, Hollywood Canteen Foundation. "Lew Wasserman Compares: TV Fans Only View, Moviegoers Partake," in Boxoffice , 10 December 1973. Sansweet, Stephen J., "Movie Industry Hurt by Writers' Strike," in The Wall Street Journal , 17 June 1981. Fabrikant, G., "A Movie Giant's Unfinished Script," in The New York Times , 20 October 1984. Egan, Jack, "A Hollywood Thriller: MCA vs. the Sharks," in U.S. News and World Report , 7 September 1987. Cieply, Michael, "Wasserman—An Astute Giant Remains Behind the Myth," in Los Angeles Times , 20 February 1988. Bart, Peter, "Still Standing Tall," in Variety , 15 March 1993. Harris, Kathryn, and John Lippman, "The Clock is Ticking," in Los Angeles Times , 20 October 1994. Fabrikant, Geraldine, "At the Crossroads," in The New York Times , 13 October 1994. Sterngold, James, "A Marriage Not Made in Heaven," in The New York Times , 7 April 1995. Tobenkin, David, "Seagram Buy Could Shake up MCA TV," in Broadcasting and Cable , 10 April 1995. Rose, Frank, "Twilight of the Last Mogul," in Los Angeles Times , 21 May 1995. Weinrab, Bernard, "For MCA and Hollywood, a Generational Shift," in The New York Times , 12 July 1995. Farhi, Paul, "The Man who Remade Hollywood," in The Washington Post , 23 July 1995. Brown, David, "Exit Lew," in The New Yorker , 31 July 1995. Peterkin, Chris, "More Than the Man Behind the Deal," in Variety , 28 August 1995. Laksi, Beth, "Showman of the Century," in Variety , 28 August 1995. Although Lew Wasserman might legitimately be considered the last great Hollywood mogul, he does not fit the stereotype. In an industry built on hyperbole and showmanship, his style is characterized by discipline and restraint. Yet, he reigns as the entertainment industry's deal maker supreme. During a 59 year career with the talent agency MCA, he reshaped the entertainment business by shifting the focus of programming from motion pictures to television and from producers to onscreen talent. Indeed, Wasserman virtually invented most of what has now come to be standard business practice for the film and television industries. 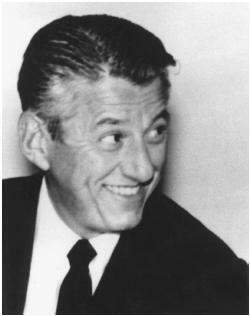 Wasserman began his show business career at the very bottom as an usher in a Cleveland theater in 1933. This job was quickly followed by a stint as a promoter for a small-time nightclub called the Mayfair Casino. During the latter job, he was spotted by Jules Stein, a Chicago eye doctor turned band booker who hired him in 1936 for his fledgling talent agency, Music Corporation of America (MCA). In 1938, the agency packed him off to Los Angeles to operate a branch office for motion picture talent. Within ten years, he had assembled a roster of talent headed by such stars as Betty Grable, Bette Davis, Billy Wilder, Gene Kelly, Alfred Hitchcock, Joan Crawford, Jimmy Stewart, and Ronald Reagan, and had ascended to the agency presidency. Through it all, Wasserman managed to keep a low profile and asked that his staff do the same. "I've always felt," he said, "that, in the agency business, publicity is for the client. Our responsibility is to do our job." With all of this talent on hand and competition for radio and film jobs heating up, Wasserman converted MCA into a programming entity by inventing the concept of "packaging." Instead of merely booking talent on existing radio shows, for example, the agency head put his staff to work creating programs and projects which would feature predominately MCA talent. This strategy would eventually be transferred to motion pictures and ultimately to the newer medium of television where it would become standard practice by the 1960s. Television presented Wasserman with a unique problem when it began to take hold in the late 1940s and early 1950s. As the major studios lost their monopolies on production, exhibition and exploitation of talent in the years following World War II, they unanimously turned their backs on the newer medium reasoning that it would be suicidal to allow their major stars to appear on television since if American audiences could see them for free in their living rooms, no one would go to the movies. When MCA moved to fill the void with its own television production entity, Revue Productions, it was barred from using two members of the Screen Actors Guild (SAG) on live TV broadcasts. However, Wasserman found a loophole. With the sponsorship of Coca-Cola, he began to produce series shot totally on film and was thus able to negotiate a waiver from SAG allowing him to employ "big screen" names such as Alfred Hitchcock as long as the shows were shot entirely on film. By the end of the 1960s almost all shows were either produced on film or videotape, and MCA and the William Morris Agency controlled 80 percent of the talent appearing on TV. Yet, the MCA head viewed "talent" as a diminishing asset. Although he had negotiated the first million-dollar contract in 1946 tying Ronald Reagan to Warner Bros. for seven years and followed it with another precedent a decade later by creating the first "percentage" profit sharing package for Jimmy Stewart for starring in Universal's Winchester 73 , he realized that his bargaining power would cease if the actor walked out the door and went with another agency. "What I did wasn't such a big deal," he emphasized. "Ronald Coleman got a percentage of his pictures in the 1920s." Yet, Wasserman's gamble in trading Stewart's $250,000 salary for a percentage of the film's net gross which ultimately amounted to several million dollars for the actor, actually put the "onscreen talent" in the position of virtually dictating which projects could be made by the studios. "Wasserman and Stein built the first real powerhouse agency," attested Samuel Goldwyn, Jr., chairman of the Samuel Goldwyn Co., in 1995. "They really created the concept of stars producing pictures long before ICM and Creative Artists Agency came along." But, Wasserman, pragmatist that he was, knew that his agency had to acquire other firmer, more tangible assets that investors could count on. Accordingly, in 1958, he obtained Paramount Picture's pre-1948 film library for the then unheard of sum of $10 million. (By contrast, Ted Turner paid almost $1.5 billion for the MGM library three decades later.) Although Paramount executives crowed that the sale generated more revenues than would several years of actually making and exhibiting films, MCA had the last laugh by obtaining more than $30 million from TV stations for broadcast rights to the films within the first month. Four years later, Wasserman took an even larger gamble by purchasing Universal Studios and its parent company Decca Records. It was his intention to transform his new company into Hollywood's first vertically integrated entertainment corporation which would ultimately grow to encompass film, television, music production, theatrical exhibition, home entertainment and theme parks. However, the MCA chief's initial steps were viewed as a potential monopoly by the Justice Department which stepped in and forced MCA to divest itself of its talent business. At the height of his most ambitious reach, his fear of diminishing assets had seemingly come true. Yet, the merged company with its sizable assets weathered the crisis and the regulatory setback, if anything, actually forced Wasserman to become even more creative in his deal making. He went from an apolitical stance at the opening of the 1960s to active political involvement in the ensuing decades courting Presidents Lyndon Johnson and Jimmy Carter (both of whom offered him cabinet positions) and eventually reteamed with his old client Ronald Reagan. By 1973, when Jules Stein retired naming Wasserman his successor as MCA chairman, the company was valued at $160 million. Twelve years later, the younger man had turned it into an empire with a net worth $3.6 million including 420 acres in Los Angeles; two hotels; office buildings; an open-air amphitheater; the Universal Studio Tour (the third ranked tourist attraction in the U.S.); and half interest in the Cineplex Odeon theater chain. Much of this was aided by the relaxed attitude of the Reagan Justice Department toward antitrust issues. The secret of Wasserman's success during this period was that although MCA continued to expand and diversify, it never strayed from its core business which was entertainment. However, within those basic boundaries, experimentation was conducted at an extremely high level. For example, the company pioneered longform television movies during the 1980s which allowed Universal to keep a full slate of producers, directors and writers at work around the clock while spreading the company's overhead over a full 365 days instead of the usual less than 200 for its competitors. Also, at least one third of these long-form movies wound up becoming weekly series, including such major hits as The Rockford Files and Columbo among their number. Wasserman thus achieved the best of all worlds—low overhead and a launching pad for high revenue continuing programming with incredible long-term syndication potential. During the 1980s MCA became one of the largest suppliers of longform programming to the T.V. networks with such hits as Kojak, Columbo, Miami Vice , and Murder She Wrote. At the same time, the motion picture division of Universal, long known for relatively low-brow entertainment began to ride the crest of such acclaimed films as the Academy Award-winning The Deer Hunter and Out of Africa. But, it was another Wasserman gamble made in 1975 that really produced dividends in the ensuing decades. He agreed to finance a film version of the best-selling novel Jaws as a vehicle for his protege Steven Spielberg, who would go on to give Universal three of the biggest money winners of all time, including the box office champ E.T—The Extra-Terrestrial. In 1990, Wasserman pulled his biggest deal of all, selling MCA to the giant Japanese electronics firm Matsushita. In addition to keeping his chairmanship at an annual salary of $3 million, he exchanged his common shares of stock for preferred shares carrying a value of $327 million. But, the free wheeling dealer was finally reigned in by the financial conservatism of his new partners, and MCA began to decline until it was again sold in 1995 to Seagram's Distillers, which effectively ended Wasserman's involvement in the day-to-day operations of the company. His only regret, he said at the end, was that the possibilities of the industry that he pioneered "seem endless. I just wish I could be around to see all the changes to come." However, if show business's past is any indicator, its future will still bear the Wasserman imprint.